Hunter said to have been hired by an international crime gang to target rare Indochinese tigers in Thailand. A POACHER appears to punch an endangered tiger in the head after traveling hundreds of miles to hunt it down in a nature reserve in Thailand. 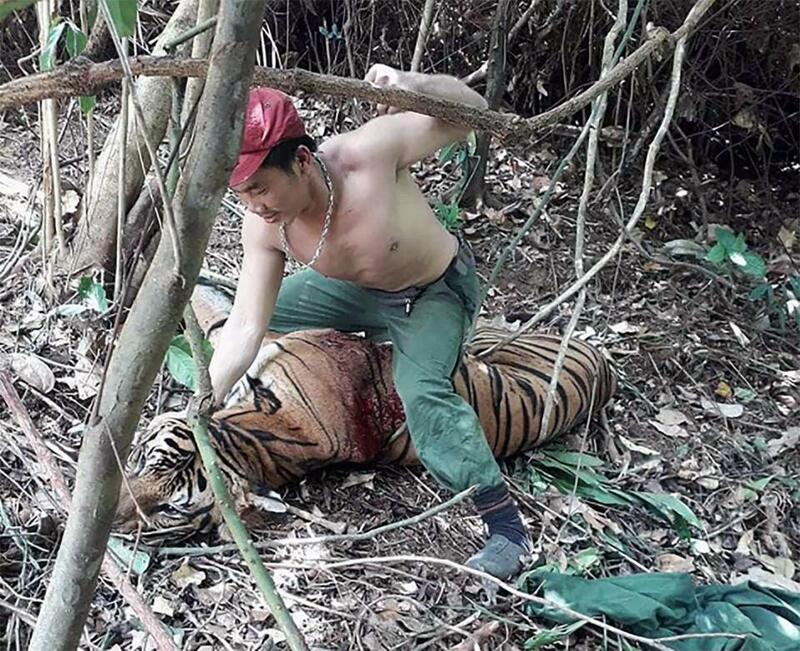 The crook can be seen drawing his fist behind his head as he sits astride the bloodied big cat.The tiger appears to be bleeding from a bullet wound, but it is not clear if it is already dead in the trophy-style photo. 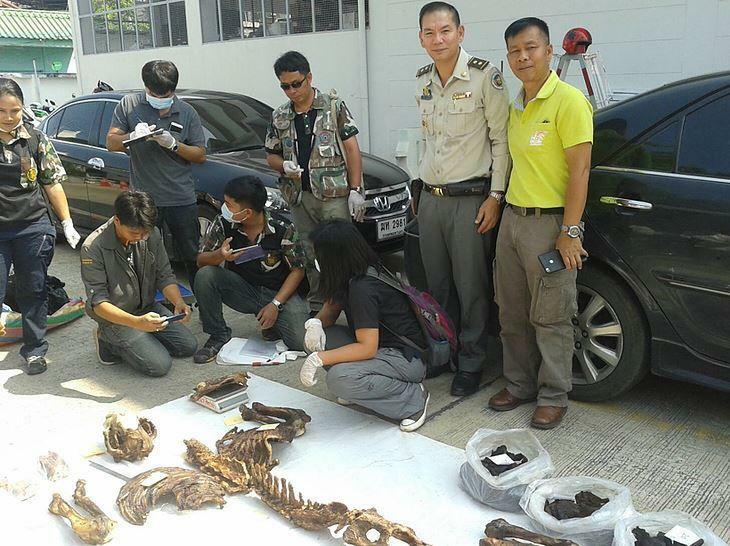 It was recovered from a mobile phone seized by police who arrested a Vietnamese poacher gang operating across four countries. A picture shows officers examining fresh tiger bones and other objects during a search of the vehicle and suspects. The two Vietnamese nationals were arrested. Conservation charity Freeland helped police use digital forensic technology to track their journey across Laos and into Thailand. The poachers had been on hunting targeted hunting missions in protected forests in Thailand and Malaysia and possibly in Myanmar, investigators said. “Police, rangers and the public must remain vigilant.” The driver who tipped off cops will be paid a reward as part of the TYGER conservation project. Freeland is working to train rangers for anti-poaching operations in Thailand. Fewer than 4,000 tigers are thought to be left in the wild.